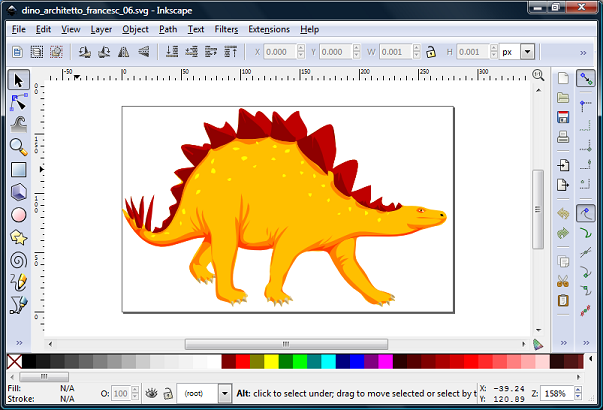 Inkscape is a powerful desktop-based vector drawing and illustration software released under an open source license. Versions of the programs are available for Microsoft Windows, the Apple Macintosh, Linux. Commercial distributions of the program, typically include a clean and straightforward installation procedure, documentation and in some cases, additional extras or add-on items. Text tool: On-canvas text editing with precise control over typography. Low cost, yet comparatively powerful and feature rich alternative to Adobe Illustrator, and other vector drawing software. Save upto over $400 against competing products. Microsoft Windows Compatible. on both 32 bit and 64 bit systems. Microsoft Windows 95 and above.